Apple has been long rumored to launch an iMac with a Retina display. This desktop is allegedly a 27-inches iMac and is set to launch possibly as early as October this year alongside the OS X Yosemite. As the site claims, sources have reportedly used the upcoming desktop devices and are able to confirm the new iMac will retain the slim design as the current iMac lineup. 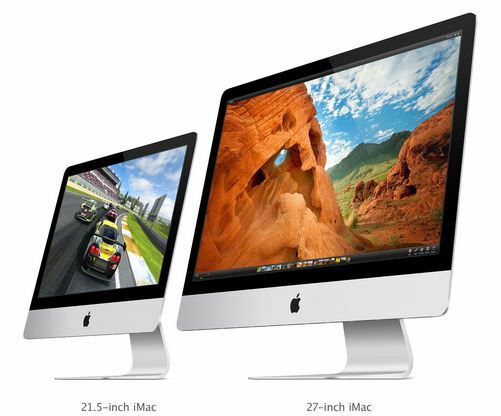 The current iMac lineup was last refreshed in 2012 with an extremely thinner design. The latest desktop will keep the design, however, will have improved hardware specs inside. Faster processors have already made it to rumor headlines many a weeks ago. After adorning its tablets and smartphones, it is only but likely for Cupertino to offer iMac with the beautiful display panels. The upcoming improved iMac lineup will be a little on the expensive side, however, no word is shared on the pricing in the aforementioned report. OS X Yosemite is highly expected to released this October and it has become quite probable to see the 27-inch Retina iMac launching alongside the upcoming desktop OS X. There have been quite a few reports regarding a high-res support in the OS X Yosemite beta. This would ensure that the upcoming desktop device is launched packed with OS X Yosemite out of the box. Apple’s Best Product Pipeline in 25 Years: OS X Yosemite, iOS 8, 12-inch MacBook, 4K Desktop, iPhone 6 and iPad Variants!